The Art Of... Tap Dancing | The Art Of | Kids VT - small people, big ideas! "One, two, three, four," counts Abbie Rock as she slowly scuffs her shiny black shoes against a bright wooden floor. After receiving kudos from her instructor, the 6-year-old — wearing pink tights, a leotard and a tutu — sits down to watch the next girl take a turn. Abbie's beaming. The girls are students in the Beginning Tap class at Fusion 802, a Colchester dance studio that also offers ballet, jazz, Zumba and hip-hop. Abbie took ballet here last year but asked her mother to sign her up for tap this time around. "The actual sound of tap dancing really interested her," says Sarah Rock, Abbie's mom, who also took tap lessons as a child. "Abbie just really wanted to move her feet." Fusion 802 owner Nicola Boutin teaches the class; she began tap dancing at age 2 in England, where she grew up. She cites physical activity, improved coordination, muscle strengthening, counting practice and learning rhythm among tap's many benefits. It's also a way of communicating — to Boutin, each step carries its own tone and mood. "Tap dancing is like talking, and it allows our own personalities to come out," she explains. "Tap shoes are an instrument, and I listen to each child individually to hear what they have to say." Tap almost became a lost art. The dance form, which dates back to the 1800s, peaked in the era of Fred Astaire and Gene Kelly before slipping into decline in the mid-20th century. But over the past decade, tap dance has enjoyed a healthy resurgence, thanks to dancers such as Gregory Hines and his protégé, Savion Glover; children's movies such as Happy Feet; television's "So You Think You Can Dance"; and Broadway's Newsies. There are two major variations of the genre: rhythm tap and Broadway tap. The former is more traditional and emphasizes the music, while the latter focuses on visual presentation and is widely performed in musical theater. Boutin's challenge is to teach simple rhythmic steps to young children with limited attention spans. She keeps the class fun and engaging by playing a variety of music, from Kidz Bop Kids' "Forget You" to Jack Johnson's "Upside Down." "With little kids, it's hard to keep them interested," says Boutin. "What is so great about tap dancing is that you can tap dance to literally anything. That helps keep kids entertained." Boutin also plays games to help children understand the importance of listening to their percussive footwear. To teach a four-beat riff, she asks students to squash imaginary apples with their heels and kick them away with their toes. "Now stomp your heels to see if you can splat apple juice in my eye!" she coaches playfully. Her students happily oblige. "I want kids to feel as passionate about dance as I do," Boutin says. 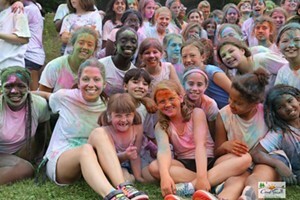 "Kids can come up with their own style and fun steps and really express themselves." Abbie's mom enjoys watching her daughter show off her rhythmic side. "Tap dancing is very challenging, and there are all of these tiny steps," says Rock. "But Abbie really enjoys it. She loves to make noise and be loud." 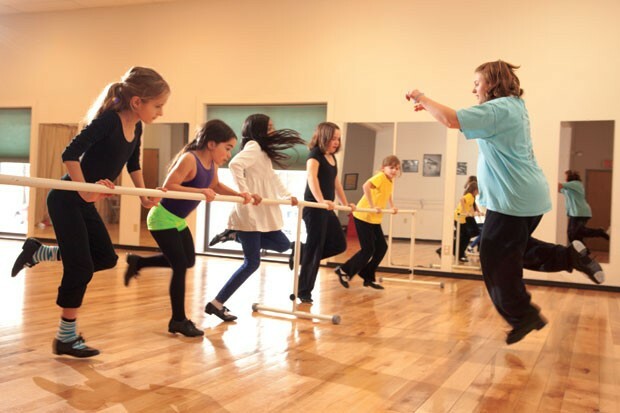 Fusion 802 offers tap-dance classes on weekdays and Saturdays; the beginner class enrolls students ages 6 to 8. Classes cost $15 each, or $50 per month for one class per week. Tap shoes are required. Call 444-0100 or visit dancefusion802.com for more information.